When planning a bathroom renovation there are lots of choices for you to make, one of these is deciding how to make the most of your space. No matter how big or small your bathroom is, you can incorporate the latest design trends whilst adding your own unique style to achieve a truly exclusive bathroom aesthetic. The heart of any large master bathroom design has been based around a centrepiece freestanding bath tub accompanied by a floor mounted bath shower tap, to create a luxurious and inviting focal point. However contemporary luxury trends have found a way of taking the spa experience to the next level. 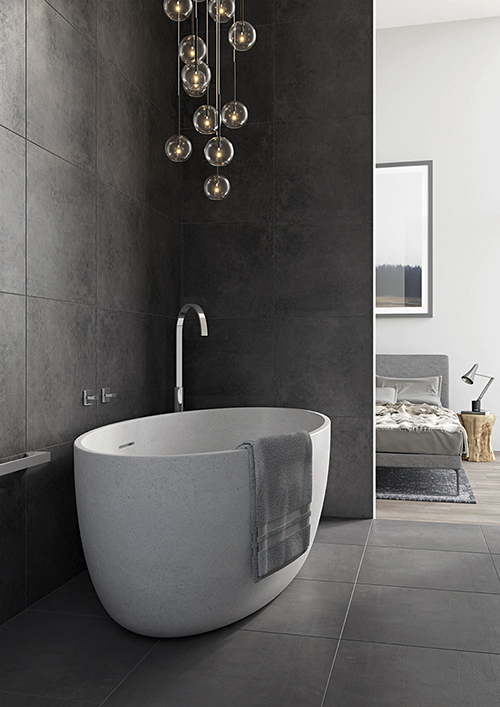 Delivering a truly striking, minimalist appearance, sunken bath tubs that emulate swimming pools and spas add grandeur and sophistication to a bathroom. If you’re unable to carve into the ground, lets face it not many of us have the budget or space to do so! Try building a raised platform around the bath for a sculptural appearance that brings the spa experience home. As the bathroom continues to become a place where we look to spend more time relaxing, additional soft furnishings such as arm chairs and cocktail tables are now establishing themselves within day-to-day bathroom designs. If your bathroom is short on space, why not explore combining your shower and your bath. 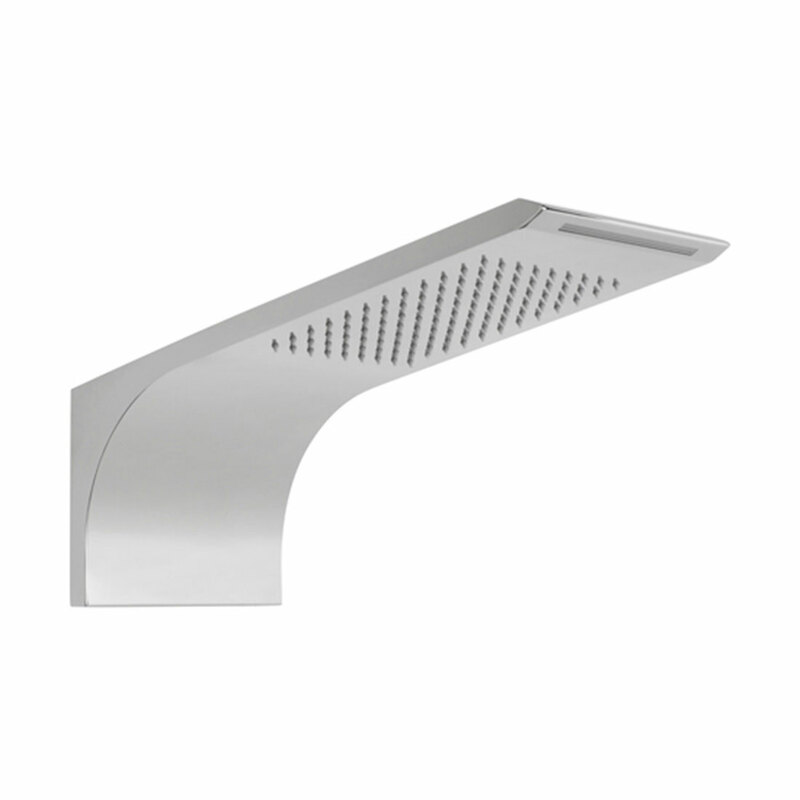 Replacing a shower cubicle with a wall mounted or ceiling mounted shower head over the bath will allow you to gain extra space without hampering your bathroom design. There are lots of options to choose from when deciding the shape of your bath too. Installing a P-shaped bath shower will maximise space inside and outside the bath, allowing a squared area for showering whilst leaving enough room for bathing. For this area, try to avoid using a shower curtain in favour of a glass bath screen. Although far more affordable, shower curtains often reduce light and visual space whereas glass screens provide a clean and modern alternative to further enlarge your bathroom appearance. Clever storage options will also ensure your bathroom is kept clutter-free for a perfectly minimal and space efficient bathroom. Alternatively, one trend that embraces luxurious bathroom living and space maximisation is the walk-in shower. 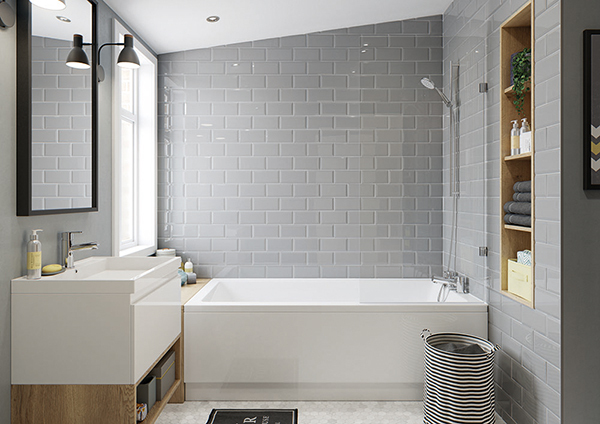 As time efficient bathing continues to take priority against relaxing in the bath, the walk-in shower has presented a popular way to open up the room. Boasting an extending bathing area with stepless access, this innovative trend offers a shower surface that remains seamlessly connected to the rest of the bathroom for complete visual freedom. Just because you’ve opted for a large shower space instead of a luxurious bath tub, that doesn’t mean you still can’t enjoy a spa-like experience. One of the key features of a walk-in shower is being able to install multiple outlets such as a ceiling mounted shower head and a wall mounted fixture. A concealed thermostatic valve will offer a refined, minimalist appearance to control your premium shower area whilst a frameless glass enclosure can further enhance that open, spacious feel. 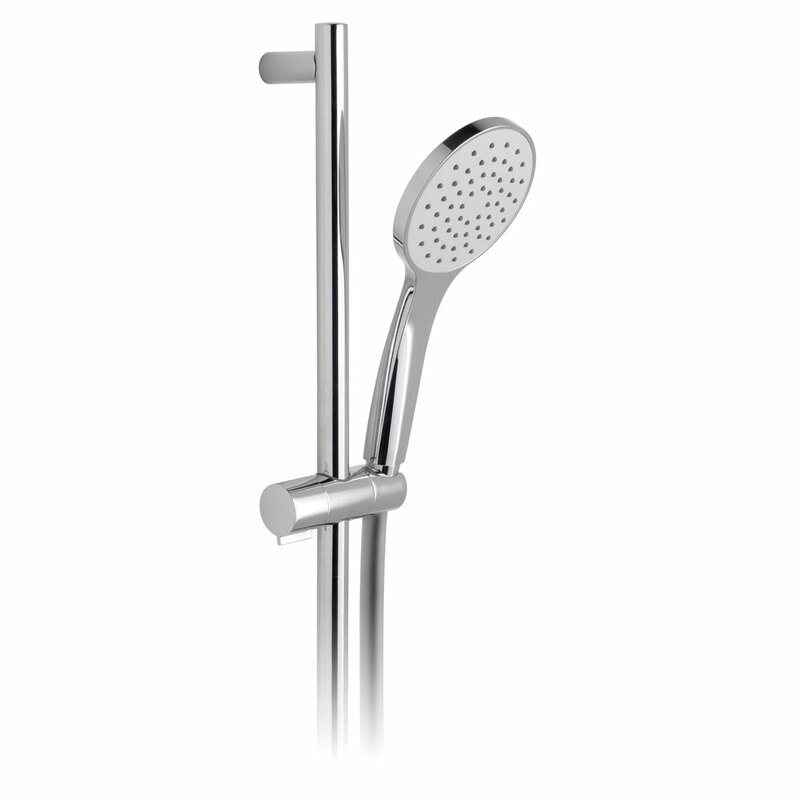 If you have the space, double showers are proving to be as popular as twin basin installations to allow freedom and flexibility in the modern home and help to avoid delays in the morning when getting ready for work. If your bathroom is unable to facilitate a bath tub or an open, walk-in shower and a shower cublicle is your only option, then fear not. There are many ways you can transform a small shower space to remain on trend despite its size. Even though white finishes help to brighten and enlarge a shower space, try opting for a textured, patterned finish to decorate your shower area. Mosaic patterns, chevron tiles and geometric styles will generate a contemporary look and feel whilst adding subtle hints of colour to your design scheme. Removing opague or textured glass in favour of clear glass will open a space whilst creating a clean and sleek appearance. 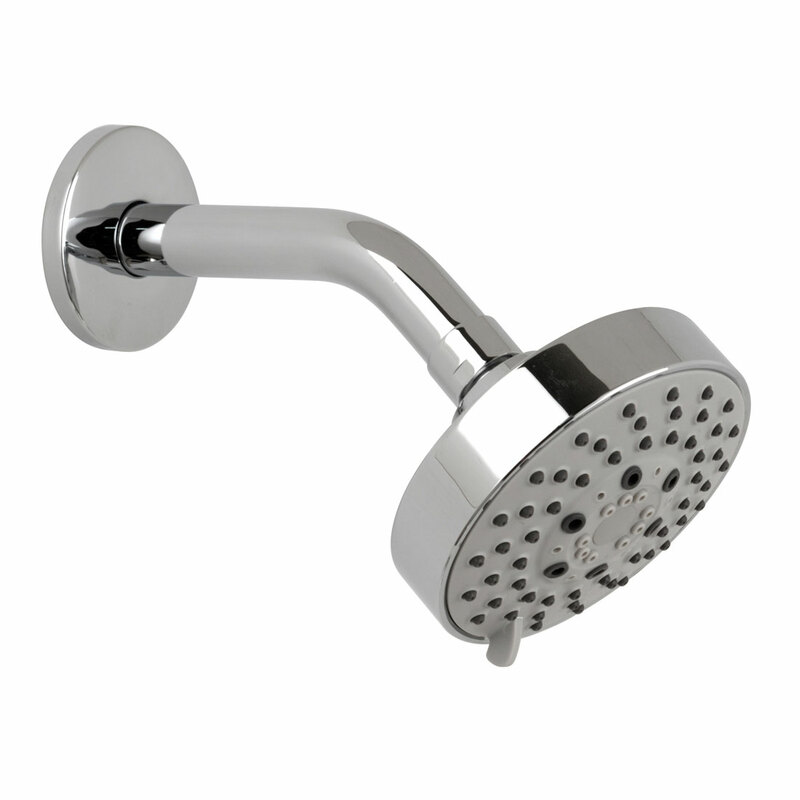 For small enclosures, a wall mounted shower head and concealed shower valve is a must. 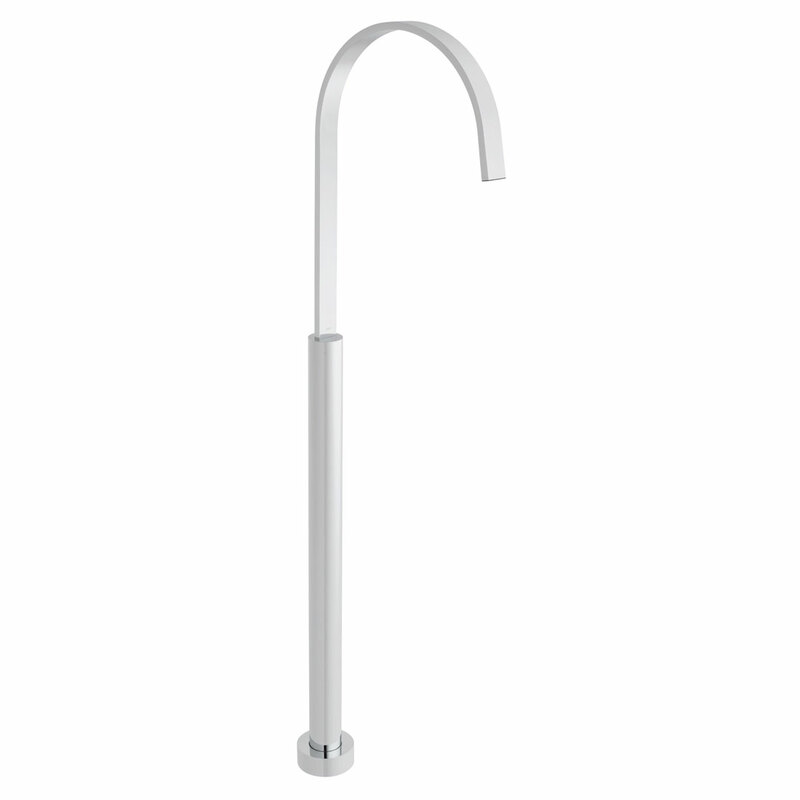 Often possessing a sleek, minimal form without the exposed pipework, this combination offers a clean and refined look with maximum showering performance.